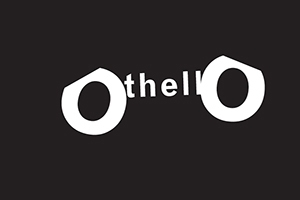 Othello at Katzen, March 1, 2018. On March 1, Prof. Caleen Sinnette Jennings's newest production, a modern take on Shakespeare's Othello, opens in the Katzen Studio Theatre. In Jennings's remake, the 415-year-old play comes alive through stage combat, a solo saxophone, original artwork, and a multi-racial cast, allowing for the famous Moor of Venice to be viewed through a contemporary lens. Here, Jennings shares her 50-year journey with Othello and why this seminal work still matters today. 1. How can Othello, and theatre, contribute to the bigger conversation about race on campus and in our society? This play and the walls of this theatre reflect my journey with this play. I continue to work on active ways to heal our campus after its own series of painful racial incidents. I continue to mourn the police murders of Amadou Diallo, Tamir Rice, Eric Garner, Trayvon Martin, Michael Brown, Freddie Gray, Sean Bell, Prince Jones, and too many other black men to name. I must also list Rekia Boyd and Charleena Lyles, black women who were murdered by police. While they are not in Shakespeare's play, I am pleased to have black women and other actors of color in this production to illuminate, complicate, and query the play's racial binaries. Kyle Hackett's artwork and the moving collages created by the cast sparked meaningful dialogue and enabled our ensemble to face some of the tough issues in this play. What am I saying by directing this production? Trust love above all else? A black man trusts at his own peril? We are all complicit in racism? Adore this play? Abhor this play? All of the above. 2. What was your introduction to Othello? Bennington College, Vermont 1967. Ashamed of Othello, the all-brawn-no brain, vanilla-fevered dupe of Iago. Ashamed of myself, no-less a pawn of the white world than Othello. Ashamed of my inability to articulate any of this. 3. How has your interpretation of the play changed since then? Since Shakespeare's not alive to verify the word he actually wrote, an editor has to choose. The word "sighs" supports my 27 years of disliking the play. Othello loves Desdemona because she SIGHED for him?! On the other hand, the word "kisses" means that Othello was overwhelmed, flattered and seduced by a sensitive, sensuous, and "woke" Desdemona who was perhaps a tad too aggressive and eager to move out of her father's house. I choose "kisses" and that inspires me to write "Casting Othello," produced at the Folger in 1998. In my play, a multi-racial theatre company grapples with Othello as I do. Fast forward to the Teaching Shakespeare Institute 2016, when we teach Othello again. By now, I empathize with Othello, admire Desdemona, and embrace the play on every level.